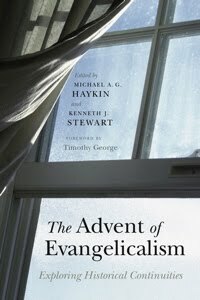 In an earlier post on Edwards’s Religious Affections ( ‘Jonathan Edwards: Some Circumstantial Evidence’) I suggested that his choice of supporting authorities, the people whose names appear in the main text and especially in the footnotes, and who Edwards cites extensively, had not only a theological but also a political significance for him. The fact was that the awakenings in New England were attended by some novel and (to many) disturbing goings-on: bodily contortions, whisperings and other direct intimations which those who were subject to them took to be the voice of God, and so forth. And also, as Edwards points out, the extraordinary events were accompanied by swings in fashion: at one time the evidence of the revivals’ good effect is judged to be a heightened emotional state; then, due to ‘abuses’, the pendulum would swing, and the presence of raised affections would be held to be of no account. One piece of evidence for the political nature of the work is Edwards wish to show that his account of true religious affection, first made known in his occasional writings on the revivals, and then in what was to be a magnum opus, had the backing of Puritan authority. Crucial to his argument is the distinction between natural and supernatural effects. And Edwards scoured the writings not only of his grandfather Samuel Stoddard, his forerunner in the Northampton pulpit, but also of widely – regarded New England divines such as Thomas Shepherd, and of English Puritans such as Owen and Flavel. He wished to show that Puritan orthodoxy had indeed made use of such a distinction, and had advocated a process of self-examination or self-testing to determine whether one’s states were naturally or supernaturally induced. . Edwards himself gave renewed emphasis to the distinction by employing terminology which he borrowed from John Locke (without letting on to his readers). He described true, supernatural regeneration in terms of the soul’s possessing a ‘new simple idea’, but (as far as I can see) he did not deviate from the tradition in his teaching. As we saw last time, the difference was chiefly terminological. Though there is evidence of the substantive influence of Locke in what Edwards had to say about the unity of the self in the Introduction to the Affections. (Nevertheless, for all the respect he paid to the tradition, it must be said that it is hard to imagine the likes of John Owen being as patient and tolerant of the new ‘phenomena’ as Edwards was.) This brings us to the second political point. This further political aspect can be identified in the overall structure and argument of the Religious Affections. It has to be said that this structure seems frequently to have been misunderstood. It is read as if the phenomena listed in Part II, such as being in an excited, emotional state, or experience great effects on the body, or that emotions are accompanied by texts of Scripture flashing into the mind, are for Edwards signs of the absence of saving grace, while those listed in Part III, such as ‘the transcendently excellent and amiable nature of divine things, as they are in themselves; and not any conceived relation they bear to self, or self-interest’ are signs of the presence of true grace. But this interpretation is only half right. Certainly, in Edwards’s’ view the signs enumerated and explained in Part III are signs of the presence of grace. However, those similarly enumerated and discussed in Part II are, in his view, signs of neither the presence nor the absence of true grace. This seems to means that they are neutral, indifferent, marks, neither here nor there. Yet even this does not quite make the point, for if anything Edwards is even more generous and concessive to these various phenomena that being studiously neutral about the. For he states not only that such phenomena are ‘no signs one way or the other’, but goes so far, in the title of Part Two to indicate his desire to show that the phenomena to be discussed there are ‘no certain signs that religious affections are truly gracious, or that they are not’. Perhaps Edwards had in mind the experiences of his wife Sarah. And so, it is implied, such bodily effects are to be tolerated in the churches, provided (one assumes) that their display does not threaten civil order, nor the decorum of services of worship. So those signs cited in Part III do not contradict those in Part II. Indeed in Edwards’s thinking they may complement them, they may coexist in the same person at the same time, just as instances of each kind may in turn exist in different people at the same time, just as some poor soul may have both measle spots and instances of the common pimple. Not, of course, that stressing the need for personal conversion was an eighteenth-century invention. But it seems that at that time evangelical Christians came be more self-conscious about conversion. Reading the Religious Affections may certainly have that effect. In the next post on Edwards I shall briefly explore his central claim in the work, that ‘True religion, in great part, consists in holy affections’.